It’s my pleasure 🙂 feel free to ask questions. I’d mix it in during one of the sets of pulls and folds…maybe the 3rd or 4th set. I wonder, could you let me know if you get this reply please? Elaine, it is great. 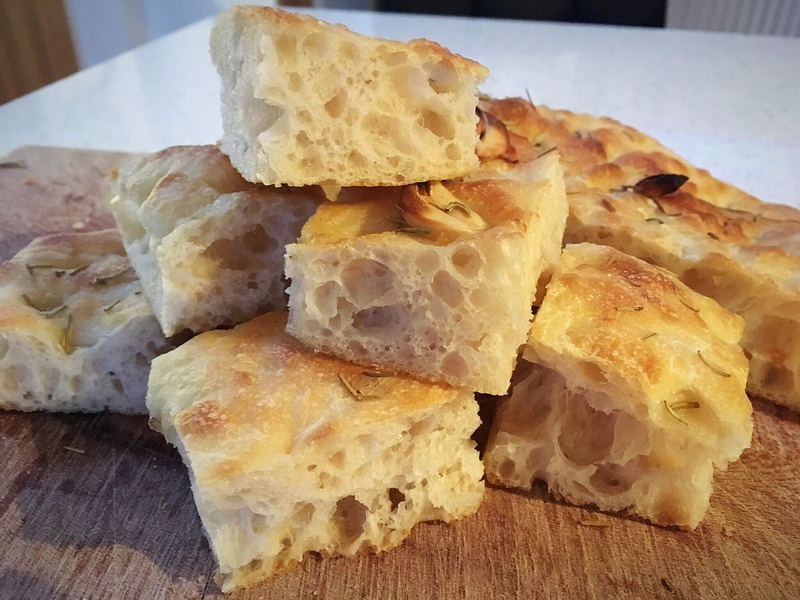 I tried focaccia once but I added oil to all ingredients straight away. It was great, but I will try your method. Thanks for sharing your experience. It is absolutely necessary to us oil. I don’t use any type of oil unless I absolutely have to. It looks like you still used baking foil, would just parchment paper work without oil. 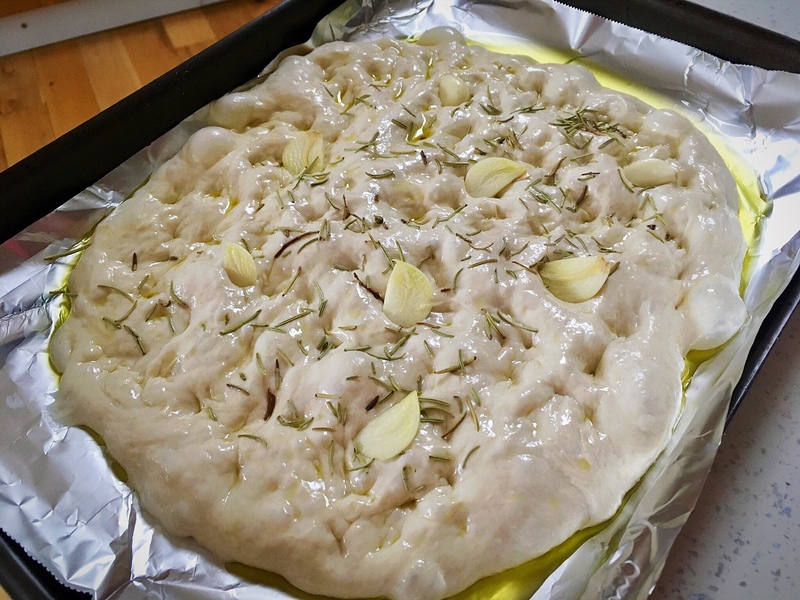 I do it with pizza crust all the time but have never made fococcia before and I am intrigued if it will worked. Thank you! Molto brava Elaine. Now you’re in my family lane, lady. 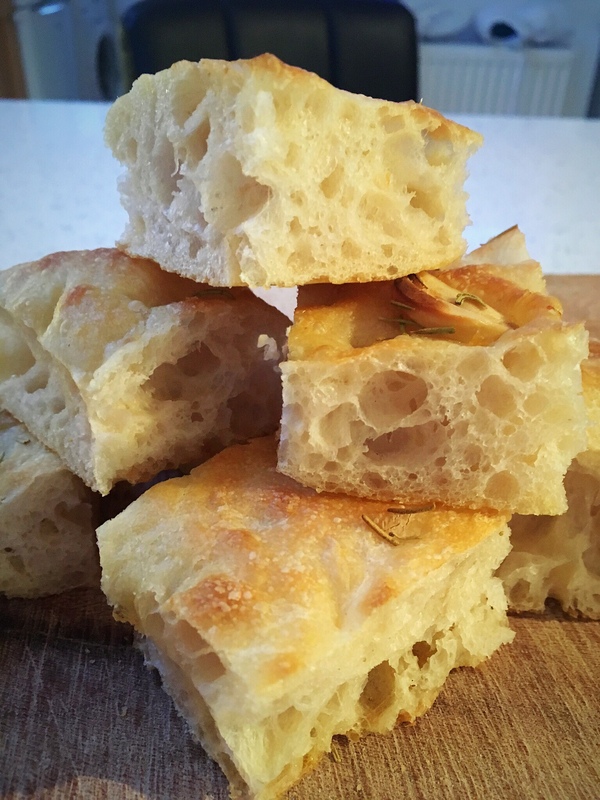 I’ve been making Samin Nosrat’s Lugurian-style Focaccia this winter, but only for company or a client because I can’t be trusted not to eat too much! Glad to have the foodbod version. 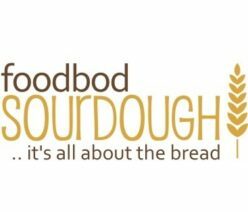 Elaine…would this recipe work with Einkorn fall purpose flour? It’s a small enough recipe that I will try it (when I get home from a holiday in Mexico in a week!). It’s been torture seeing all this pictures and not being able to participate! 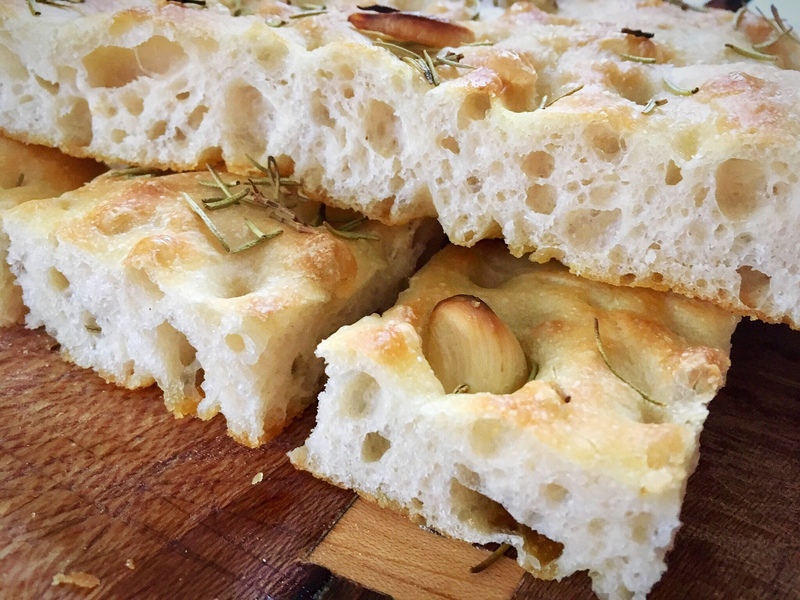 Hi, olive oil is authentic when it comes to making focaccia, for the crust and flavour; however, if you would prefer not to use it, you will still get the texture and joy of the bread. I’d definitely try it with parchment paper and maybe sprinkle the parchment paper with coarsely ground semolina to ensure it doesn’t stick and aid the crunch? Hi, definitely try it. I made a loaf last week which was 50:50 einkorn and spelt and it worked perfectly..
Beautiful photos. Looks really nice! This was perfection. Simple, pure pleasure. 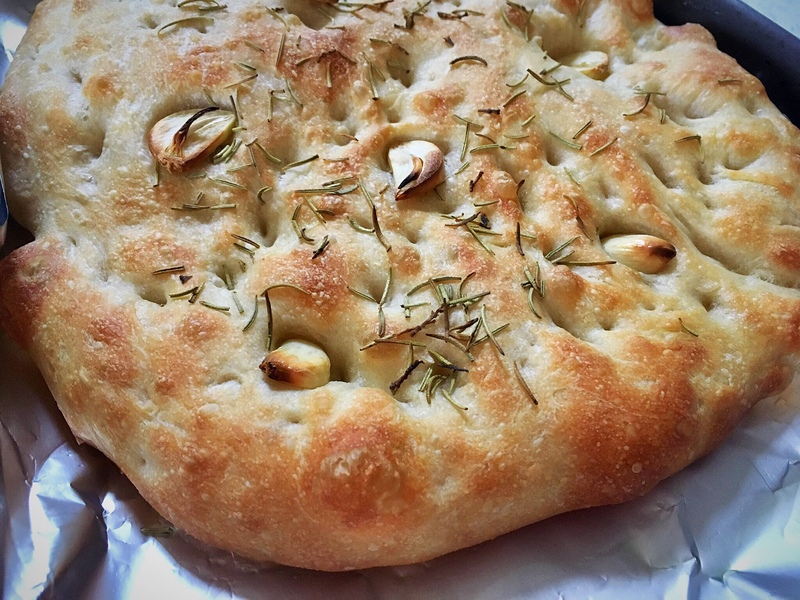 I topped with caramelized red onions and rosemary. Thank you Elaine for Your a great recipes and above all your guidance in all things nutritious and wonderful to eat. Wow, wow… Elaine, how great you recipe works. 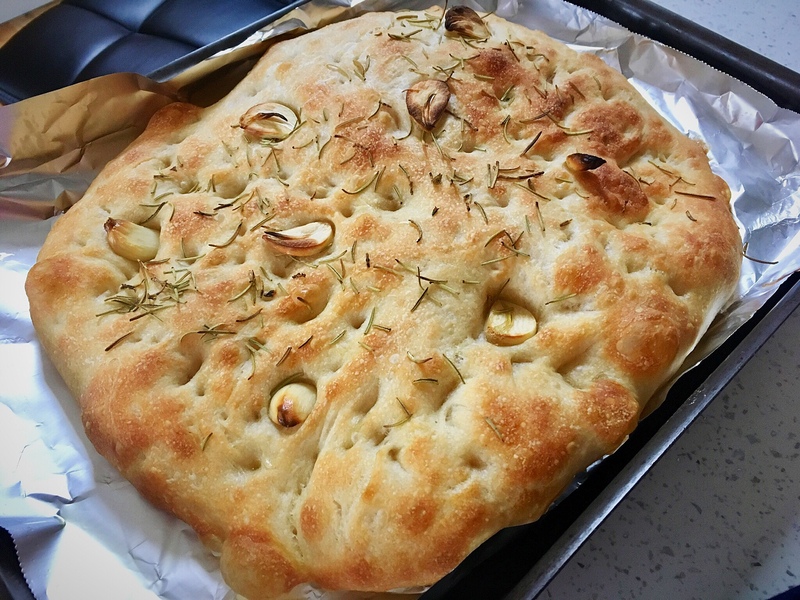 I just did my focaccia. It is fantastic… Thanks a lot for sharing your experience. I placed foto report in Instagram…. Wow, wow… It is fantastic… Thanks, Elaine. 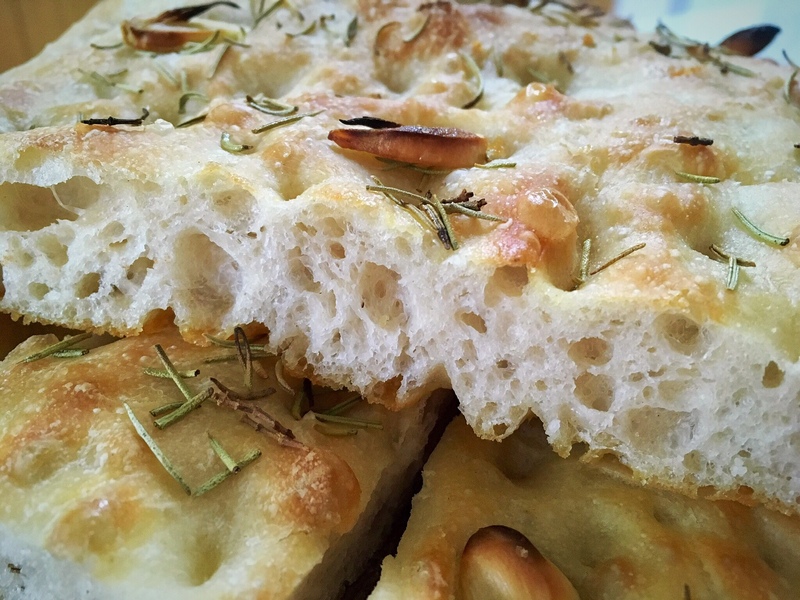 I just did my focaccia using you recipe. It is great. Thanks a lot for you advices. I placed photos as report in Instagram. Thanks again. Hi Elaine I can’t seem to find your focaccia recipe. I keep looking and the left of my screen no link to the recipe. Could you send me the link. Hi Elaine thank you for all your recipes and thank you for letting me join your group.